The mountune Lower Intake Duct for the Focus RS has been engineered to maximize the available package space while enhancing air flow. The modular design makes installation and servicing easier and allows for integration with larger turbo upgrades. Manufactured in the USA from high-quality cast aluminum with an enlarged bore and cross section, the design also features a robust mounting bracket to ensure secure mounting. 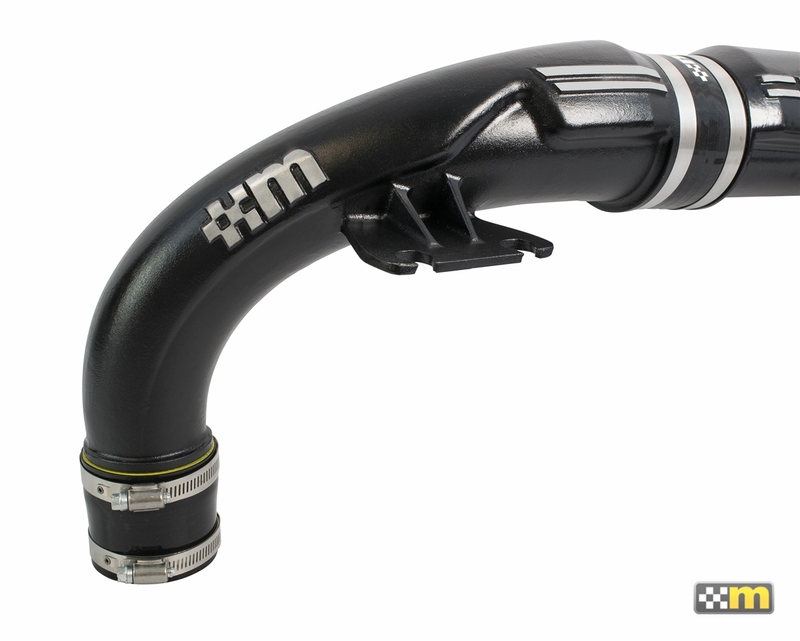 While compatible with the OE turbocharger, with a revised end position on the turbo-side, the secondary intake also allows for easier installation of larger turbos. 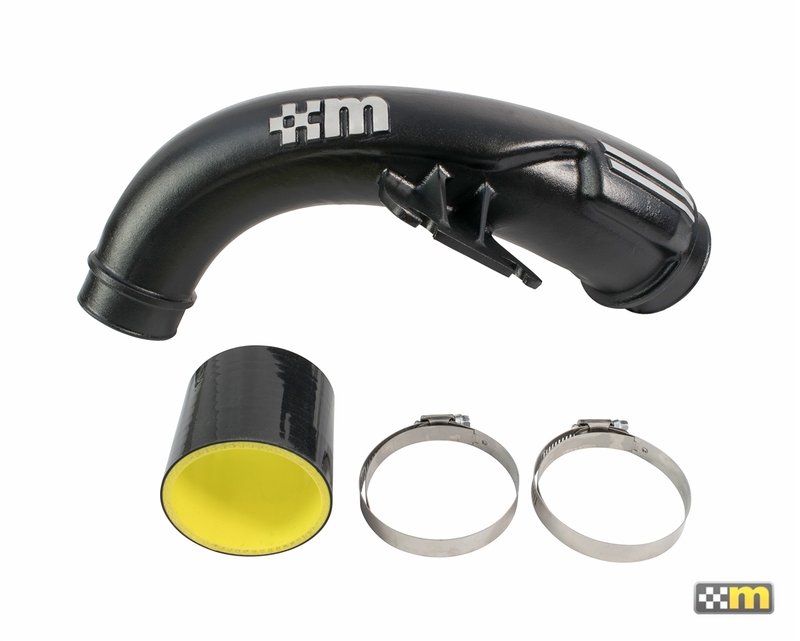 Works with the mountune Induction Kit PN 2536-CAIS-BLK and is a direct replacement for the OE rear turbo pipe work. 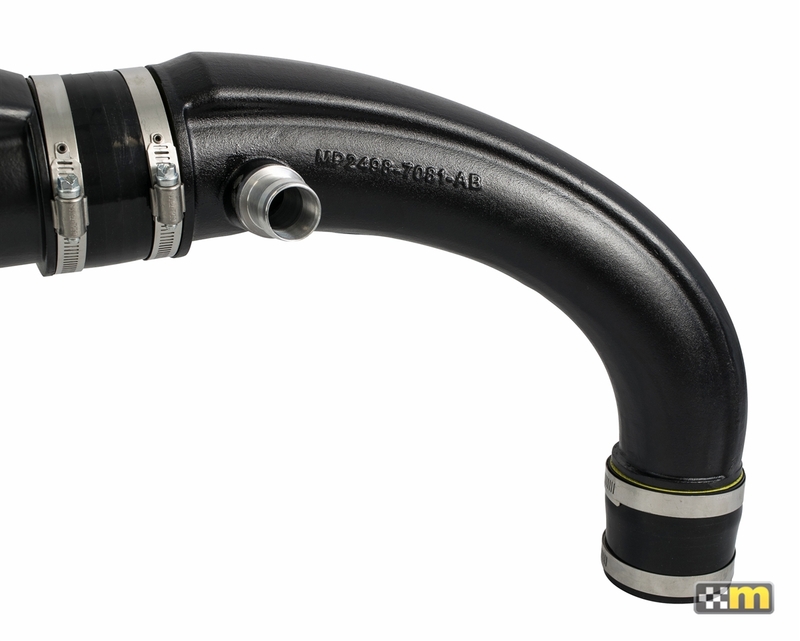 See our PN 2536-FHF-AA for those that desire the Full High Flow Intake. This part was been designed and is intended for off-highway application only. Installation of this part on a vehicle that is driven on public roads may violate U.S. and Canadian laws and regulations relating to emission requirements and motor vehicle safety standards. Click Here for Emissions compliance information. The addition of the lower intake gives more induction noise than just with the main one. Really happy with the quality as always.